McCall Richter works as a skip tracer, tracking down criminals, con men, and people who stop making payments on their fancy new spaceships. Her job description says nothing about locating vast quantities of stolen maple syrup, but thanks to her helpful new android employee, she finds herself tramping through a “sugar house” on a frosty moon full of suspicious characters. The only witness to the crime? The junkyard dog next door. 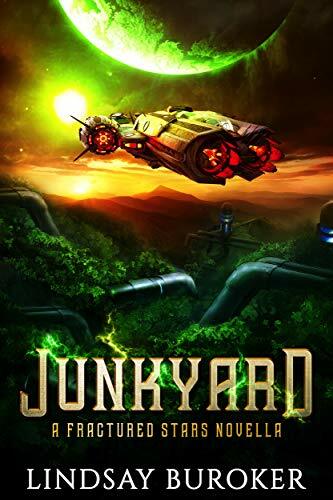 Junkyard is a stand-alone novella set two years before Fractured Stars.